Long before there were dozens of yoga styles to choose from, before yoga was a commodity to be trademarked and sold, there was B.K.S. Iyengar and Iyengar yoga. Bellur Krishnamachar Sundaraja Iyengar, best known simply as “Iyengar,” passed away on August 20, 2014, at the age of 95 after reportedly being hospitalized with a kidney ailment. Once a frail and sickly child, Iyengar played a crucial role in popularizing yoga in the West and around the globe. Iyengar began studying yoga as a teenager with his brother-in-law Tirumalai Krishnamacharya, who is considered by many to be the father of modern yoga. 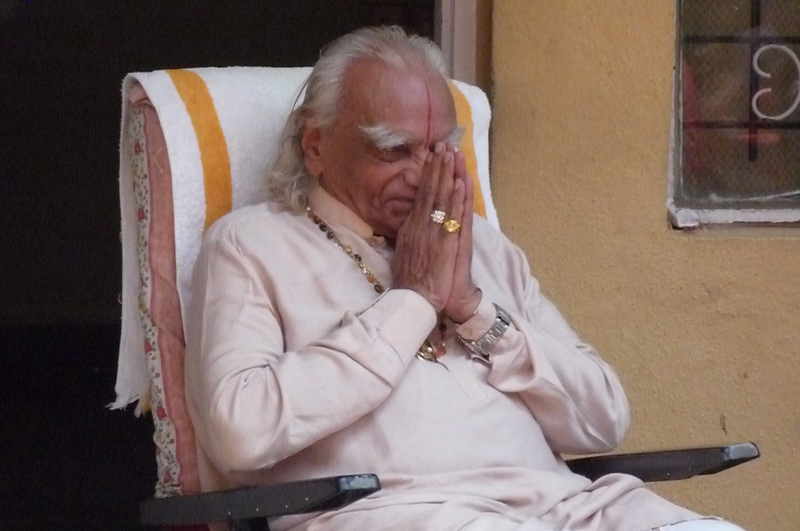 Eventually, Iyengar developed his own unique style of yoga practice and instruction, known for it’s strict focus on precise physical alignment and use of props during asana. Iyengar taught that there was only one right way to do each pose, and was renowned for his less than gentle reminders given to those that did not remember or follow his specific instructions. Although known as a strict instructor, Iyengar believed anyone could do yoga, and thanks to him, many have. With over 72 countries now teaching Iyengar yoga, and millions of yoga practice books sold, he was instrumental in bringing yoga into popular awareness. His first book, the yoga classic, Light on Yoga, was published in 1965 and has been hailed by many as “the yoga bible.” It was perhaps the first modern book that thoroughly explained yogic philosophy and practice in a way that was accessible to a western audience. Light on Yoga has been translated into 17 languages, and has endured for nearly 50 years as a classic yogic text—still considered a must read for new and aspiring yogis. He practiced what he preached until the very end, and was still able to hold headstand for up to half an hour well into his 90s. His school, the Ramamani Iygenar Memorial Yoga Institute (RIMYI), established in Pune in 1975, continues to be run by two of his six children.